Today I am doing what I do best… cleaning up after my kids. The not so glamorous part of raising a family. I will be honest my home is far from spotless and each day it’s a struggle to get all of the cleaning done. All day long I am spot cleaning, dish washing, picking up of toys, finding half empty cups and randomness that my children trail around our house. My mission for 2014 is to make the most of my time. Less time cleaning and more time enjoying my family. To simplifying my cleaning routine I am getting the right tools. Get your Home back in Shape with the Panasonic JetForce Vacuum. 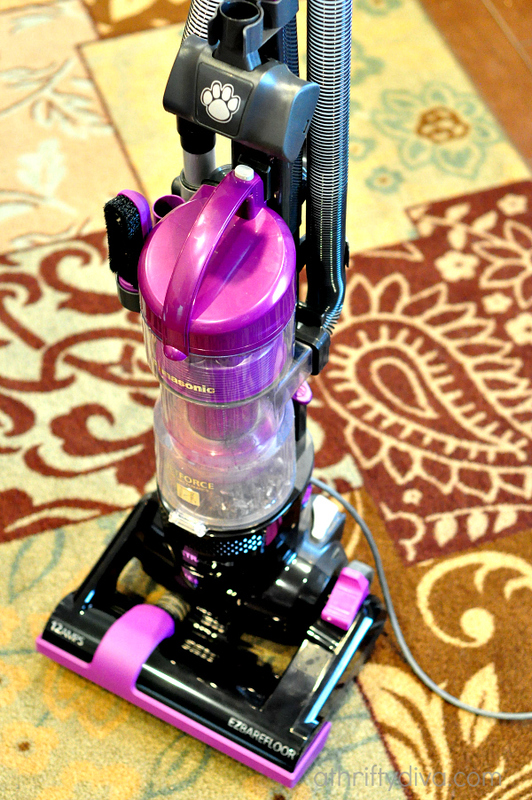 The Bagless Upright Vacuum with Cyclonic Filtration is my newest cleaning tool. I am getting our home back in shape with the new JetForce vacuum. The JetForce is an all in one cleaning tool. It goes from carpet to bare floors with the push of a button. The convenient telescopic tube easily detaches during cleaning to get in tiny spaces. Attach the fan/blind tool to clean around your home as you go. The centrifugal – force Cyclonic Filtration in the vacuum separates dust and air in the unique hour glass shape dust container allowing no loss of suction. Included with the Panasonic JetForce fan/blind tool, pet glide™ tool, and telescopic crevice tool that extends 13 ft. 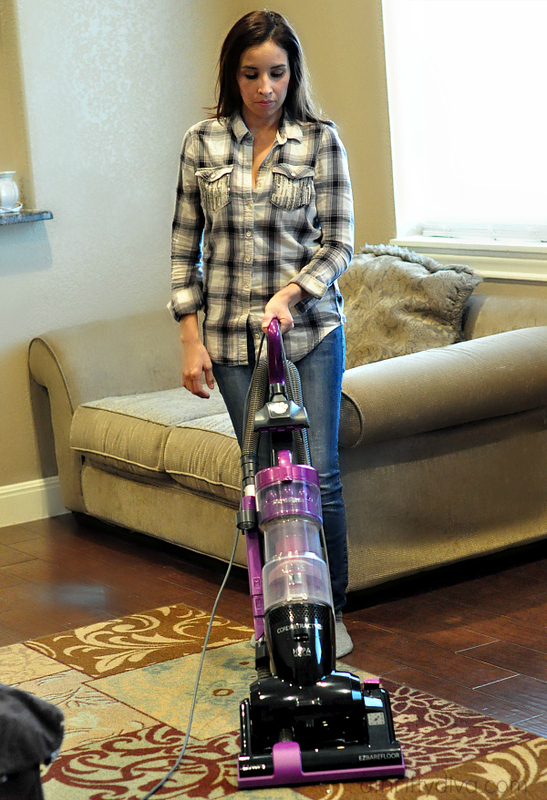 Using the JetForce makes cleaning my home a one step process. I can go from one side of a room to the other with this vacuum. From windowsills, the ceiling fan, area rugs and tile it’s a simple process. Other great points of the JetForce, the vacuum is powerful and has great suction power. It has an automatic cord reel that retracts when vacuuming and with the push of a button the cord rewinds and is hidden inside the reel. The JetForce also has a HEPA media filter which separates allergens and improves the overall efficiency of the vacuum. The only con I have is that it is a bulky vacuum to carry upstairs and weighs in at 15lbs. To have all of the features included in this upright vacuum is a plus and I will take the bulkiness to have the 12-AMP motor power and all of the tools all-in-one. Shop the Panasonic JetForce Vacuum at Walmart. Connect with Panasonic on facebook.